This frustration is felt by many small business owners. People simply don’t go out to shop as much as they used to, preferring many times to order it from the convenience of their own homes. In fact, it’s become essentially impossible to survive without having some sort of online presence. But just because you have a Facebook page or a Pinterest account doesn’t mean that you’re attracting business, either. Here are some sure-fire ways to maximize your online presence and survive in the digital age. Two very different links, and two very different products. This shows the importance of Search Engine Optimization. If you have a unique business, be sure to utilize specific key words that customers would search for. 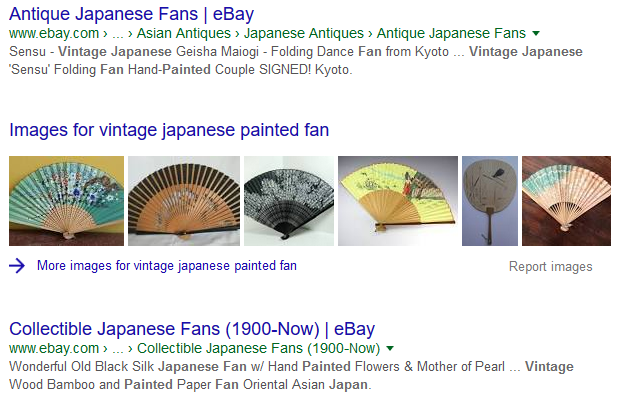 “Fan” may get lost in a multitude of products, but “Vintage Japanese Painted Fan” narrows it down to something much more precise. Try searching for your own business, and see what it takes for your website to appear on the first page of Google. Do you have to get very specific (like listing your business’s exact name and location), or does it appear with more general key words? Figuring out what key words cause your business to appear near the top of a search engine will allow you to use them more frequently and in more productive ways. If you feel that there’s a unique key word that would make your website more searchable, you can also begin to implement it in your website. What are some ways to improve your SEO optimization? Christopher Ratcliff provides some wonderful tips that will help your website make it to the top of the list. First off, while keeping key words and SEO in mind is important, it’s more important to have a website with quality content. By having information that customers need and products that customers want, you may find that you get regular visitors without worrying about your SEO. Making sure your website loads quickly can also move it higher on the list. And if you have images, especially images of products, be sure to describe them through alt text. (If you use WordPress, you can do this under Image Details.) Describing the picture allows search engines to more accurately find it during image searches. Finally, encouraging comments and social media posts can be a great way of both building up a loyal following and creating instances for keywords to appear on your website. Having a website isn’t enough for your online presence. You need to have a Facebook page, a Twitter account, and a LinkedIn profile as well. Depending on your business, it may also be important to utilize Instagram, Snapchat, Pinterest, and YouTube, as well as various other social media sites. Each of these sites serve a different purpose - LinkedIn, for example, is a way to connect with others professionally, whereas Instagram is a platform to showcase photos. To begin, determine which sites would best help your business. Which sites do your target audience use? How can you use a site to post content? If you have a bakery, Instagram will be your best friend. (Who doesn’t love looking at pictures of cookies and cupcakes?!) Coming up with a social media plan can help ensure that you post content productively and make the most of your time. You also need to make sure that your social media sites get followers. Posting about your products can attract potential customers, and also encourage previous customers to buy again. Some businesses do giveaways through their social media sites. Something like, “Comment on this Facebook status to try and win a FREE COUPON” can be a low-risk way for visitors to start following your page. (However, be sure you know the rules about hosting giveaways on social media sites). Social media sites can also be a great venue for paid advertising options. It’s important to get customers to go to your website, but just like foot traffic in a physical store doesn’t always convert to a sale, online traffic doesn’t mean you’ll have people clicking away to buy. You need to create a sense of urgency, something that makes them think, “I have to buy this now!” This can be done through sales, promotions, and discounts. Offering free shipping for purchases more than $40 can make someone much more inclined to buy. “This Weekend Only” sales can also prompt a hesitant customer to finally decide to buy. Offering deals and discounts isn’t the only way to create that sense of urgency, however. You can show the importance of your service or product by highlighting why your customer needs it now. If you own a massage clinic, publish an article about ten immediate health benefits of massages. If you own an antique clothing store, showcase the unique items in your shop and the significance behind them. An informative article can be just as convincing as a good deal. Chloe Thomas notes the difficulties of converting visitors into buyers, but says that trust and encouragement are the most important aspects of developing a sale. 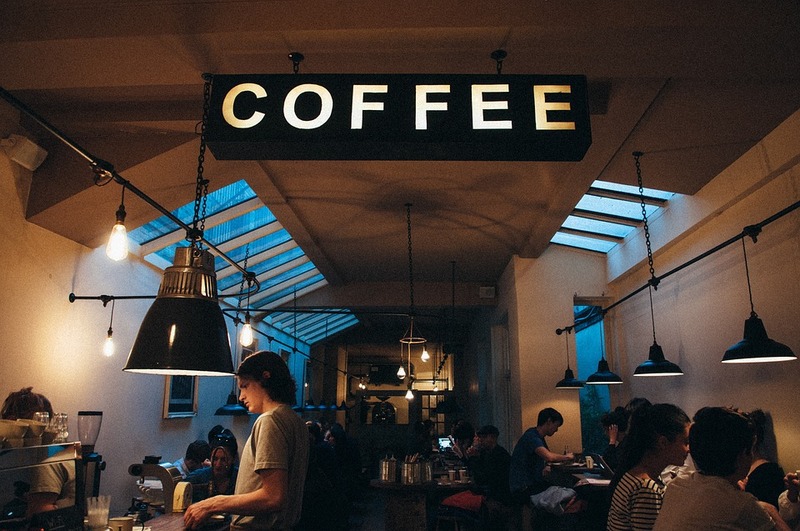 Encouraging a visitor to leave their email address or sign up for a newsletter can be a way for them to begin to build a relationship with your business. 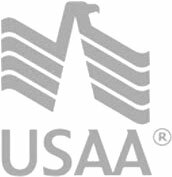 Being clear and outright with your contact information, return policy, customer service information, and products is an absolute necessity. If you’re at this step, you already have the visitors; with the right nudge, you can have sales. It’s a big world out there, especially if you have a small business. Make the most out of your online presence, and before you know it, your small business could be the next big thing!